Tonight, as part of their regular Growler Thursday (6-8pm at the brewery, located at 4248 Route 225 in Rose Valley), there will be samples of two Pale Ales available, for your tasting and voting pleasure. Don has made a couple of changes to the newest batch, and is looking for feedback from the public, so now’s the time to make a visit to the brewery. He will have anonymous voting cards and a drop box, so don’t worry if you aren’t a Beer Judge, all feedback is welcome! The Summer Session beer will also be available in growler to go. It is almost time for Hop Harvest in Rose Valley, which they plan on doing this weekend. So if you wanted a chance to galavant through the hop fields, tonight’s the night, as they will be gone by next Thursday. We’re unsure what the plans are for the hops, as Don is being quiet with exact details, but I’m sure he’s got something special planned for them, as they’re grown just metres from the brewery. If you can’t make it out to Rose Valley to pick up a growler, BarNone is also available at several PEI bars and restaurants, including The Landing in Tyne Valley, Cedar’s Restaurant and Baba’s Lounge, and The Old Triangle, in Charlottetown. Want to see it on tap at another favourite bar, be sure to ask for it! BarNone will the attending the Kegs, Corks, and Oysters festival taking place in Summerside on Sept. 21. It is a celebration of Malpeque oysters, paired with great local beer and wine. In addition to serving beer samples, we understand some of it will be used in a special beef and oyster hand pie. For all of BarNone’s news right as it happens, follow the brewery on Twitter and Facebook. Tune in tomorrow for more Atlantic Canada Beer info! It’s been another busy week in our region. 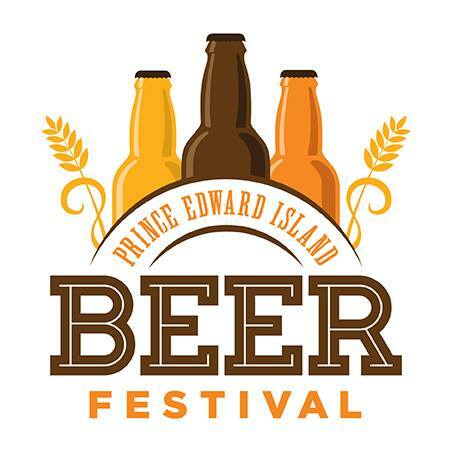 The Prince Edward Island Beer Festival, produced by the Prince Edward Island Brewing Company, will take place Sept 6-7, 2013 at the New Charlottetown Event Grounds at 360 Grafton St. This revamped event, kicking off the Fall Flavours Festival, will be focused on educating visitors and Islanders alike on the art and craft of brewing and tasting beer. The festival will feature over 75 beers, VIP packages, food pairings and late night entertainment on the beautiful Charlottetown waterfront. There are three tasting sessions planned for the festival. The first will be on Friday from 6-9 pm, then two on Saturday: 2-5 pm, and another later session from 6-9 pm. Tickets for the Saturday afternoon session are $30 each, while both of the evening sessions are $40. Keep in mind that tickets for the evening sessions also include admission into the apres-Fest entertainment, also taking place at the Charlottetown Event Grounds. There are also VIP tickets available for those looking to experience even more at the festival. For $99, ticket-holders will have access to a behind-the-scenes tour at the PEI Brewing Company from 4-6 pm before each evening tasting session, guided by the brewers themselves. Got questions about some of your favorite PEI Brewing Co/Gahan beers, such as recipe and/or brewing technique secrets? The brewers will be there to answer everything you’re anxious to know! There will also be complimentary food and beer-pairing treats, and a merchandise gift pack to take home. A shuttle will take you to the Event Grounds, so you will not miss a minute of the Fest. Each of the three tasting sessions will feature live acoustic entertainment from local artists, including Ryan Merry, Chris Field, Andrew Waite and Ashley Gorman. As for the late night entertainment, Friday’s session will feature Ten Strings And A Goat Skin and The Chris Dalziel Band, and Saturday’s will showcase More Soul and Some Guys (a Rolling Stones tribute band). The late night shows will run from 9 pm – 1 am; if you’re not attending one of the evening tasting sessions, entertainment tickets can be purchased separately for $20. Even though the Fest will be closed after 9pm each night, there will be a pub set up, serving local and select beer from the Fest to music-lovers. So, what about the beer? As mentioned above, there will be more than 75 different beers available, from sponsor PEI Brewing Company (including a special Spanish Cedar-aged IPA), Fredericton’s Picaroons, Moncton’s Pumphouse, Halifax’s Garrison Brewing, Toronto’s Mill Street and Amsterdam breweries (both with several beers not available at the PEILC), and Saint John’s Moosehead (including their Cask Ale, usually only available at the Saint John Ale House, and the new Boundary Ale). Other new/interesting/standout beers include Erdinger Weiss and Dunkel Weissbier, Mort Subite Kriek, St. Ambroise Oatmeal Oatmeal Stout and Pumpkin, and Coors Banquet. The full list can be seen here. Food will be served by a handful of local restaurants, free tasting bites to Festival goers. There will also be a Designated Drivers area for non-drinkers to still enjoy the music and great ambiance, and will include some comfy chairs and soda pop to keep hydrated while hanging with imbibing friends. Tickets can be purchased on the PEIBeerFest site, and follow the Fest on Facebook and Twitter for all of the latest news, including Fest beers being highlighted, so you can plan your time accordingly.